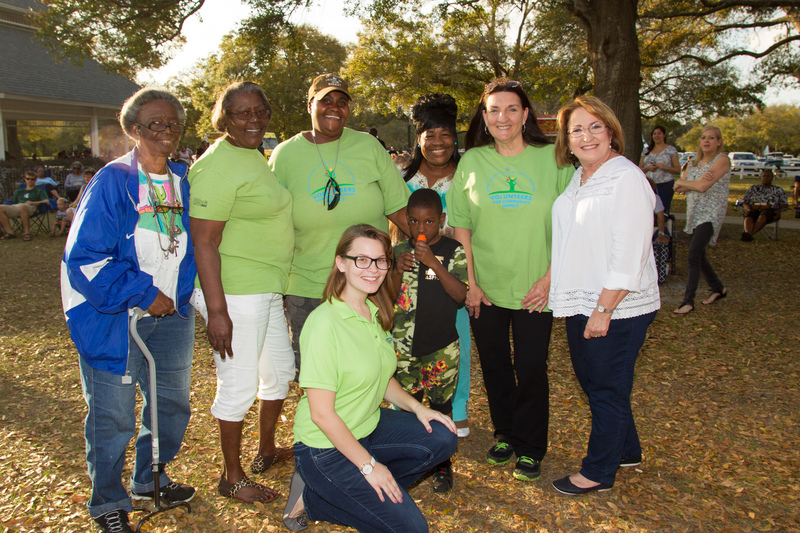 Mayor Teresa Jacobs hosted the fifth annual Orange County Jazz in the Park festival and welcomed a record-breaking crowd this year at the beautiful and historic Cypress Grove Park on Holden Avenue. The event, designed to thank local service organizations and individuals who selflessly give back to their communities, was attended by more than 800 citizens this year and showcased the cool sounds of local jazz bands. During her welcome remarks, Mayor Jacobs recognized several local service organizations, including Habitat for Humanity of Greater Orlando; Clean the World; Volunteers for Community Impact; the East Orlando Chamber of Commerce, and Friends and Family United, Inc., a program that helps students cope with challenges. Volunteers for Community Impact, a nonprofit organization that offers volunteer opportunities for active adults 55 and older, attended the event and looks forward to another year of giving back to Orange County. Nestled along beautiful Lake Jessamine, Cypress Grove Park set the stage for guests to enjoy the performances of Matt “The Saxman,” Jazzway Express, the Dimas Sanchez Quartet and the Dave Capp Project. Jazzy103.com and WUCF 89.9 helped to promote the event. This picturesque Orange County park sits on 80 acres of lush grounds boasting oak and cypress trees, radiant seasonal flowers, and perfectly manicured lawns. The park is home to a charming 1920s estate house. The vintage colonial home has become a destination for weddings, soirees, corporate events, and holiday celebrations. Photos from Jazz in the Park may be found on Flickr for use by the media.